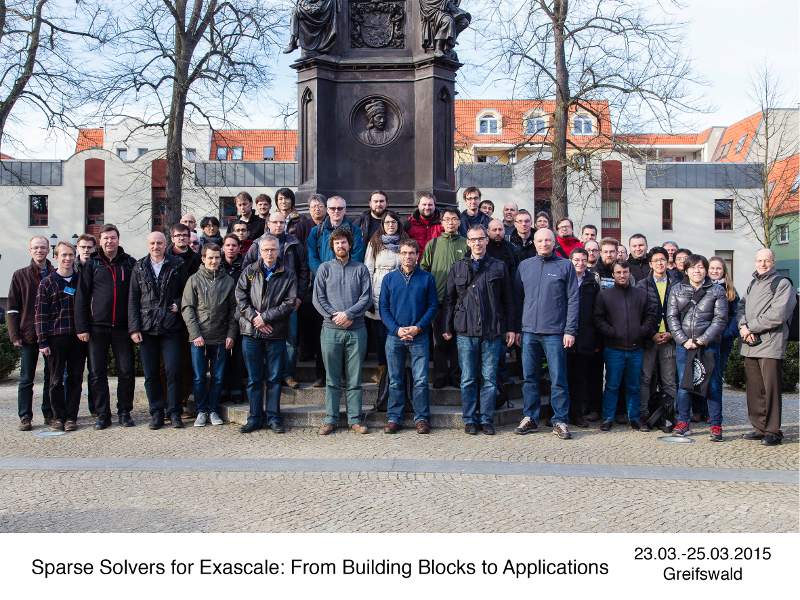 The Workshop "Sparse Solvers for Exascale: From Building Blocks to Applications" takes place in Greifswald, Germany, March 23-25, 2015. The workshop focuses on sparse linear solvers for eigenvalue problems with applications in mathematics and natural sciences. It highlights important aspects in designing and implementing numerical methods and software building blocks for future exascale systems. Performance engineering, advanced parallel programming techniques and fault-tolerance strategies crossing the traditional boundaries of software layers will be addressed. 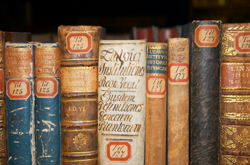 The workshop is organized by the Institute of Physics of the University of Greifswald (IfP), and held in the Alfried-Krupp Wissenschaftskolleg Greifswald. 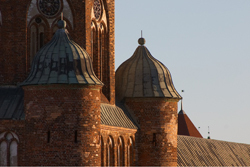 The workshop is supported by the Stiftung Alfried-Krupp-Wissenschaftskolleg Greifswald, by German Research Foundation (DFG) through Priority Programme "Software for Exascale Computing" (SPPEXA), and by the Intel corporation. The organizers cordially invite you to attend the workshop in Greifswald, Germany from March 23 to 25, 2015.